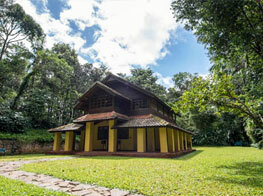 While Kerala is well-known for offering a wide variety of accommodation options, tree houses are considered one of the best accommodation options among all. 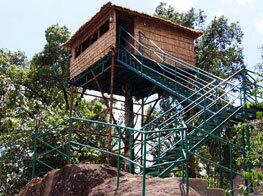 Called ‘Erumadam’ in local Malayalam dialect, tree houses are the star attraction of Kerala. 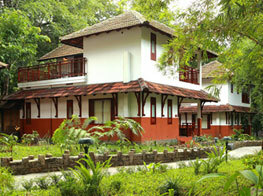 A tour to Kerala is incomplete without a stay at the tree house. 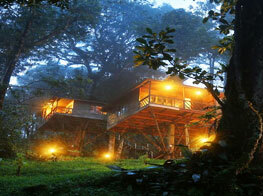 Nothing can be more fascinating than staying close to Mother Nature in a beautiful treehouse. Living in a tree house is something like a childhood dream. 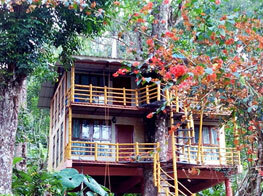 It is the perfect place to enjoy the beauty of nature while staying amid those thick green forests. 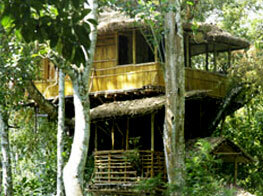 Tree houses are not only an exceptional place to stay but also a delight for all those who wish to stay close to nature. 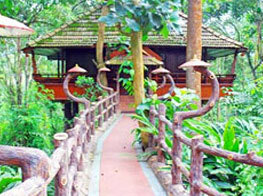 Tree houses in Kerala range from rustic to luxurious tree houses. 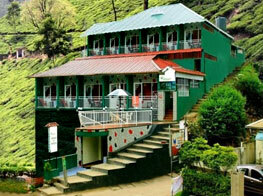 They are available in different budgets and at different locations to match the requirements of all the travelers. 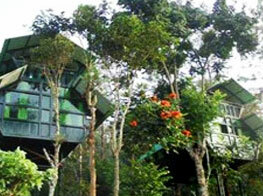 Tree houses form the perfect option for those who are looking for some seclusion, away from the overcrowded cities. Waking up in a serene and green environment, watching birds chirping around, and enjoying fresh breeze, what could make it a better experience? 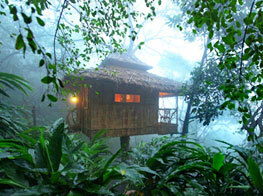 Almost all the tree houses of Kerala are located amid tropical rain forests and tea and spice plantations. 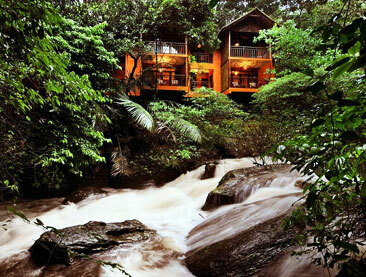 With this, guests in the treehouses get to enjoy the true beauty of nature from their balconies. Also, they get to explore the rich flora and fauna of the region. The tree houses in Kerala are beautifully designed on the top of the trees using eco-friendly materials like coir and bamboo. They are set at an elevation of around 25 to 90 feet above the ground level. 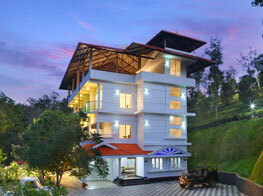 For the ease and comfort of the guests, modern amenities are provided. 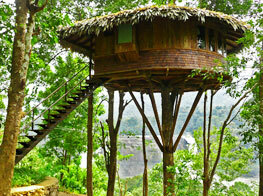 All the tree houses come with a balcony from where guests can enjoy a spectacular view of the surroundings.